Nora MacKenzie lost everything. Once the wife of a rich New York businessman, Nora finds herself destitute after husband, Mike, commits suicide in front of banker Charles Blair, the man he held responsible for his business failing when he would not commit to loaning money to help Mike’s bogus businesses. After Mike’s death, the lawyers, accountants and creditors inform Nora that she is practically penniless. She must auction off all her belongings—even jewelry left to her by her beloved grandmother—to cover Mike’s huge debts. 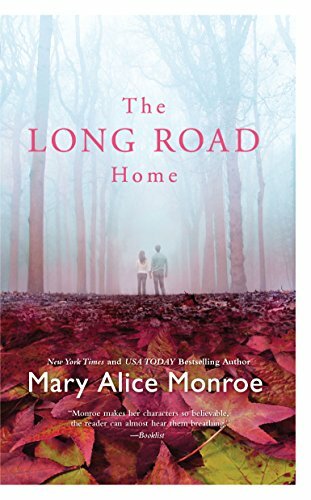 Nora is offered a stipend to get on her feet, but instead she requests ownership of the couple’s unfinished home and sheep farm in Vermont. Hoping for a chance to start a new life, Nora is determined to learn and do everything she can to make it work. The Johnstons, neighbors adjacent to her farm, have been running the business for Mike. When Nora arrives, they consider her a city slicker looking for fun and do not readily accept her. The recently hired hand, C.W., teaches Nora the ropes, and the two become friends though they keep themselves at arm’s distance. Nora delves into learning the sheep farming trade and thus regains confidence and self-esteem, the two things Mike brutally ripped from her with his emotional abuse during their marriage. She opens up little by little to C.W., though he is reticent about his own past, leaving Nora to believe he is hiding something, which in turn makes her distrust him. Though her emotions are fragile and she does not want to enter into a relationship, she cannot help that her heart speeds up whenever C.W. is near. However, what secrets is he hiding? Can Nora make a go of her new life? Will she ever learn to trust again? The one aspect I found somewhat disconcerting is the author’s characterization of the protagonist’s employees. They are portrayed more as bumbling hillbillies, which is stereotypical of mountain folk in the south and does not ring true for New England. In addition, their vernacular is more in keeping with the citizens of Maine rather than Vermont. Otherwise, the plot, obvious research, and scenic description carry the story, making it a pleasurable read.